I’ll start by providing you with a quick overview of the trip, which is actually a recap from Part 1 of my travel guide to South of France. 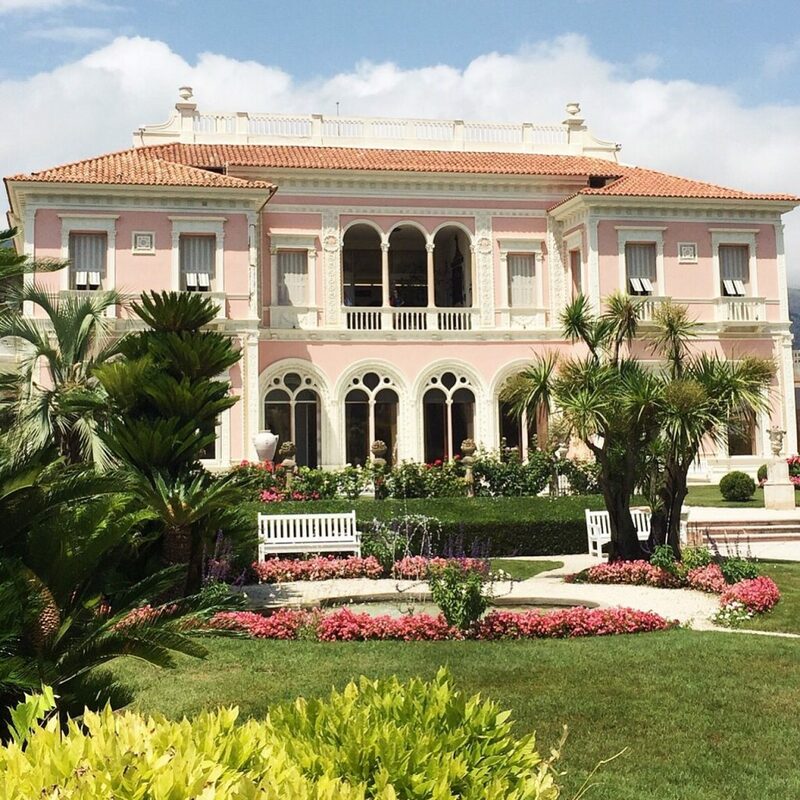 Where to Stay: Our hotel in St. Tropez was the Chateau de Messardiere. Let me start by saying that this was our SPLURGE hotel. It was very expensive and extremely luxurious. 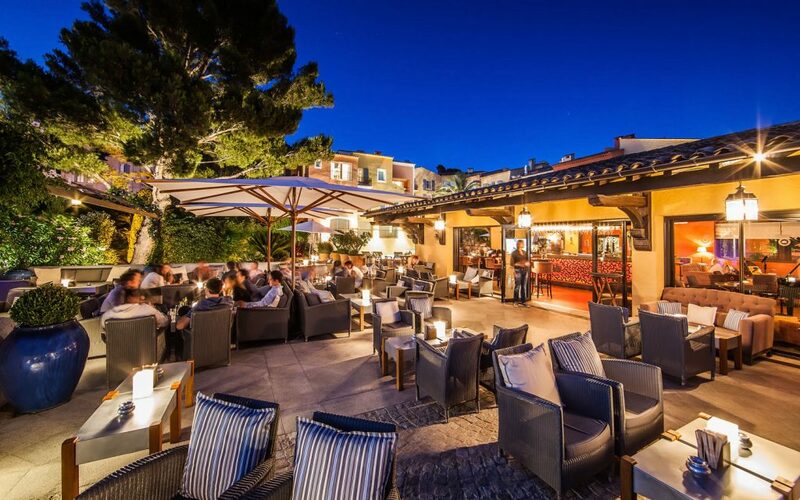 St. Tropez is known as the billionaires palace, so we wanted to soak in the lavish, 5-star lifestyle, and get a taste of the culture of the city. Hence the reason we were only there for 2 nights. 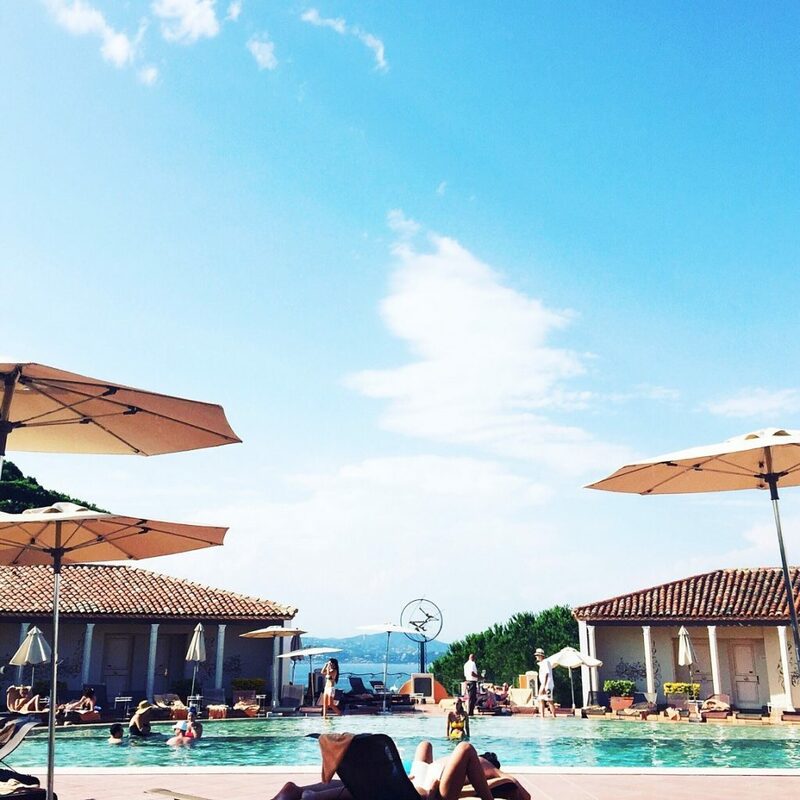 There are many other amazing hotels in St. Tropez if you’re not wanting to spend this kind of money to visit. 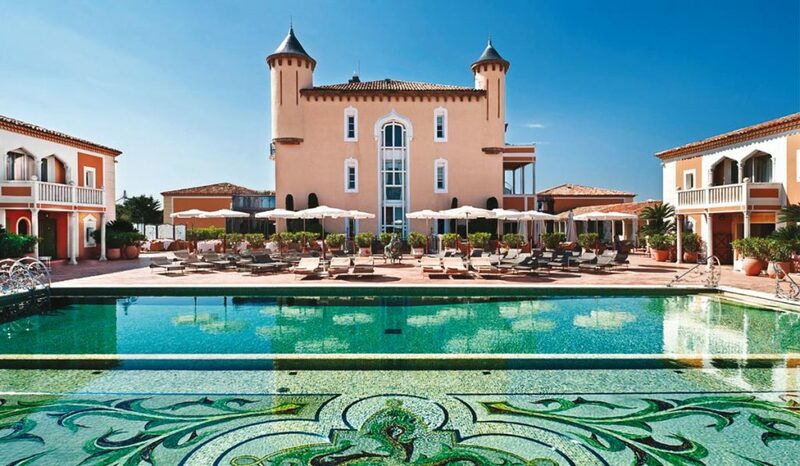 Some other hotels we looked into were Hotel Villa Cosy, Villa Belrose Hotel and Hotel Byblos Saint Tropez. Those are also luxurious hotels, but at a much lower price point. 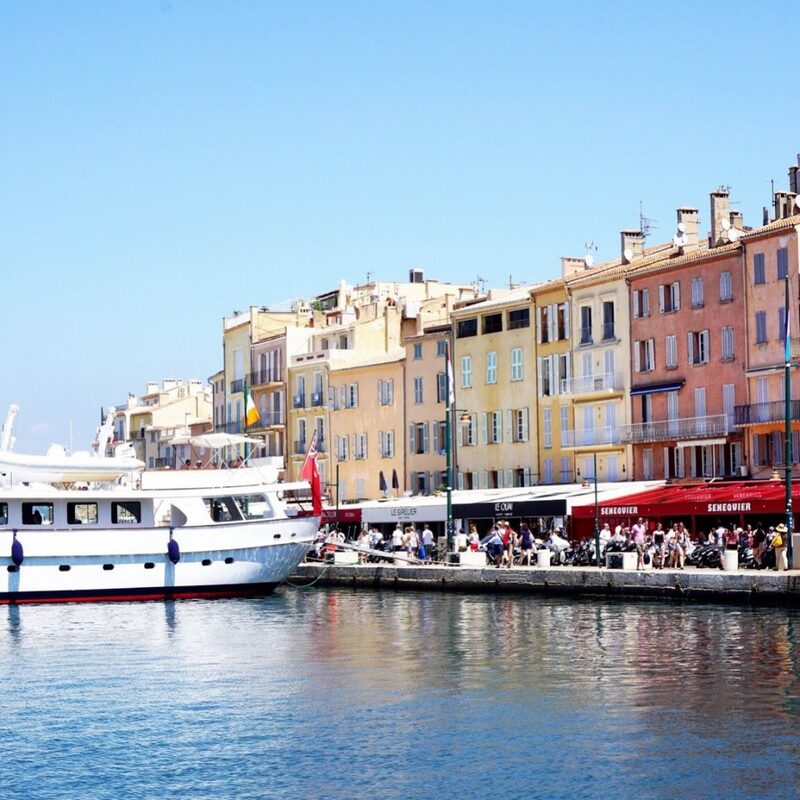 Keep in mind, any hotel you stay at in Saint Tropez is going to be expensive because it is an extravagant city. As you can imagine, the hotel was absolutely stunning. It was more than I would expect from a 5-star hotel in terms of customer service, dining, atmosphere, cleanliness of rooms, the list goes on and on. We truly got what we paid for and I wasn’t disappointed one bit. I was also shocked by the size of the rooms. They were bigger than typical American hotels, which is unusual for Europe. I couldn’t say enough good things about this hotel if you’re willing to spend the money to stay here. Our second day was spent at hotel’s local beach club. You take 5-minute shuttle down to the beach, and the hotel provides you with beach chairs and towels right in front of their partner restaurant. I knew we couldn’t go to Saint-Tropez without exploring the many beaches, so this was an easy and convenient way to get our feet in the water. We had lunch at the beach club and then returned to our hotel for dinner that evening. Where to Drink Rose (lots of it, and eat): On the first night in Saint-Tropez, we ate dinner at the main restaurant of the Byblos Hotel (which is actually one of the other hotels we looked into staying at), and the food was top-notch. I don’t believe we took any photos because we ate it so quickly, but it was small plates and their menu rotates often depending on what local fish they’ve caught. Talk about YUM! Here’s a photo of the restaurant so you can appreciate the amazing ambiance. On night two we ate dinner at our hotel restaurant and it was again outstanding food and locally caught seafood. I remember being really impressed by the service, but I wouldn’t expect anything less of this hotel. Of course, the grounds are gorgeous as well, so the view was perfect. 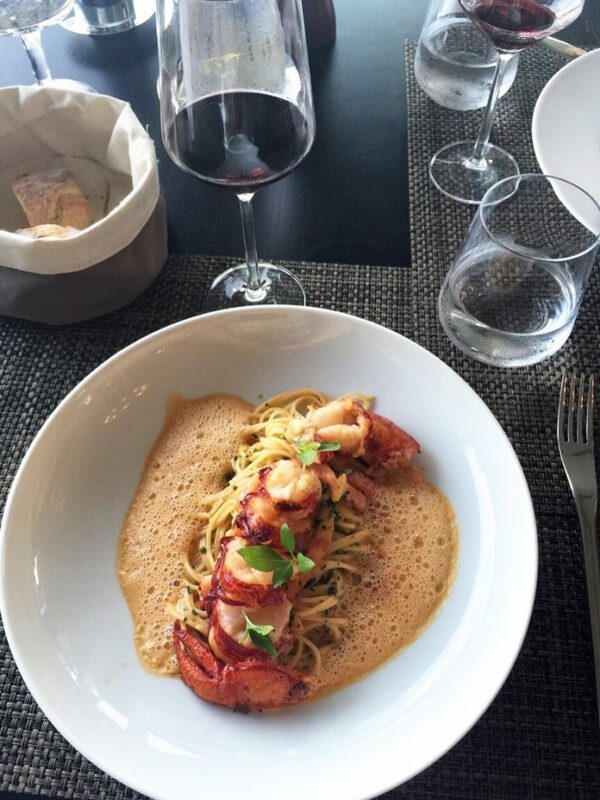 The key to choosing what to eat in Saint-Tropez is to always order the fish of the day. It’s always the freshiest catch, and prepared perfectly. Our breakfast and lunch was always eaten either at the hotel or at the hotel’s beach club. Once again, our hotel had an amazing spread for breakfast including croissants, french breakfast items, antipasto, you name it, so we made sure to wake up early in time to eat every morning. 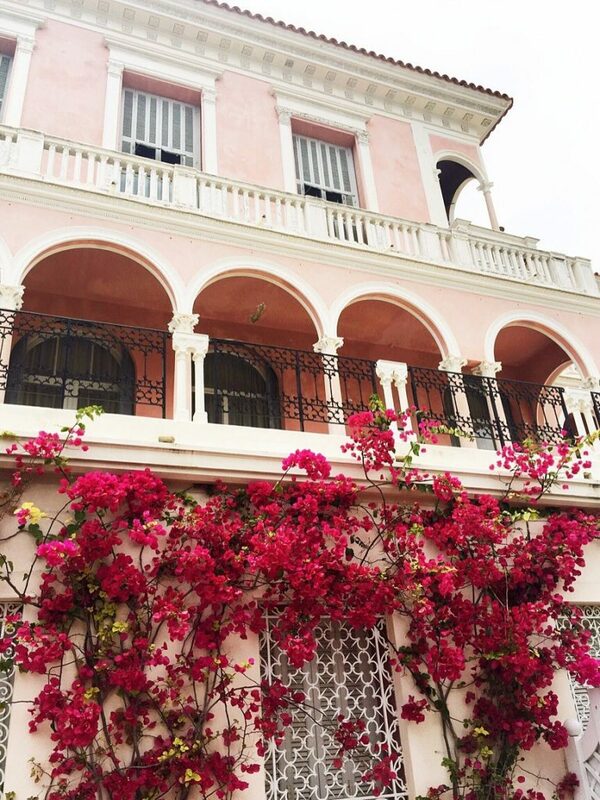 Where to Stay: Our hotel in Nice was called Hotel La Perouse. It was located right on the Promenade des Anglais of Old Town (Vieux Nice), which is the historical area of Nice located on the water. The promenade is a gorgeous road that runs along the beach and Mediterranean coast that extends from the airport and ends at our hotel. The location was amazing because it gave us close access to the beach, while also being in great vicinity to open air shops and restaurants. The rooms in the hotel were once again very small, but there is so much to do in Nice that you won’t find yourself spending a lot of time in your room. The staff were very friendly, and extremely helpful in giving us information about the city including areas that were safe vs. unsafe. 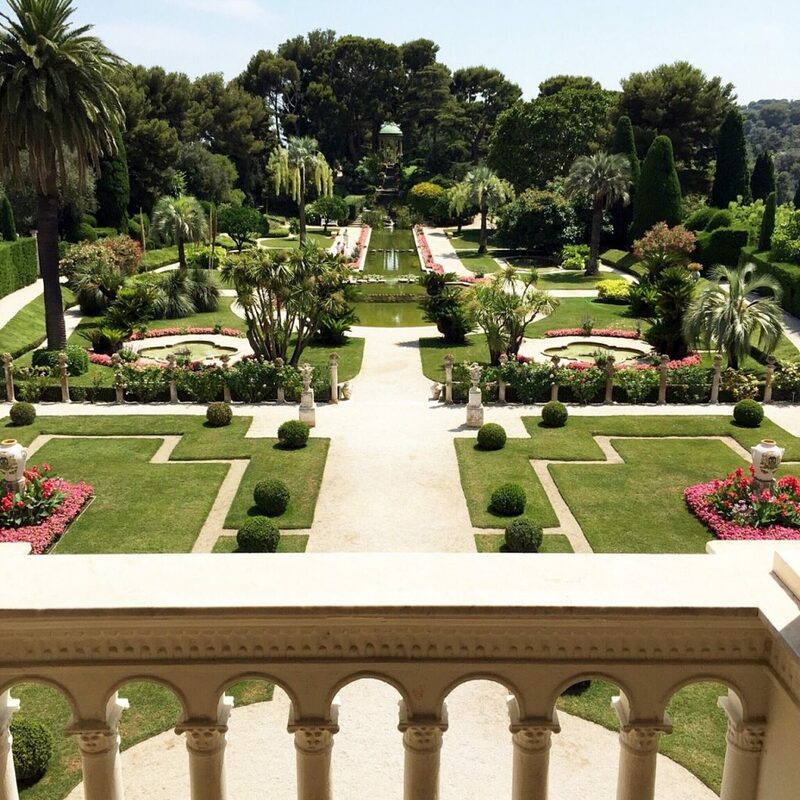 Where to Play: The city of Nice itself is absolutely amazing, and there are tons of things to do here that you wouldn’t necessarily need to take day trips out of the city unless you wanted to see other places. Drew and I spent most of our time touring Nice and then spent one day visiting the Villa Ephrussi and the local town of Eze. The only other place I would recommend visiting if you have time is St. Paul de Vence. We heard incredible things from everyone we met that had traveled here, but unfortunately we didn’t have time to add it to our itinerary. 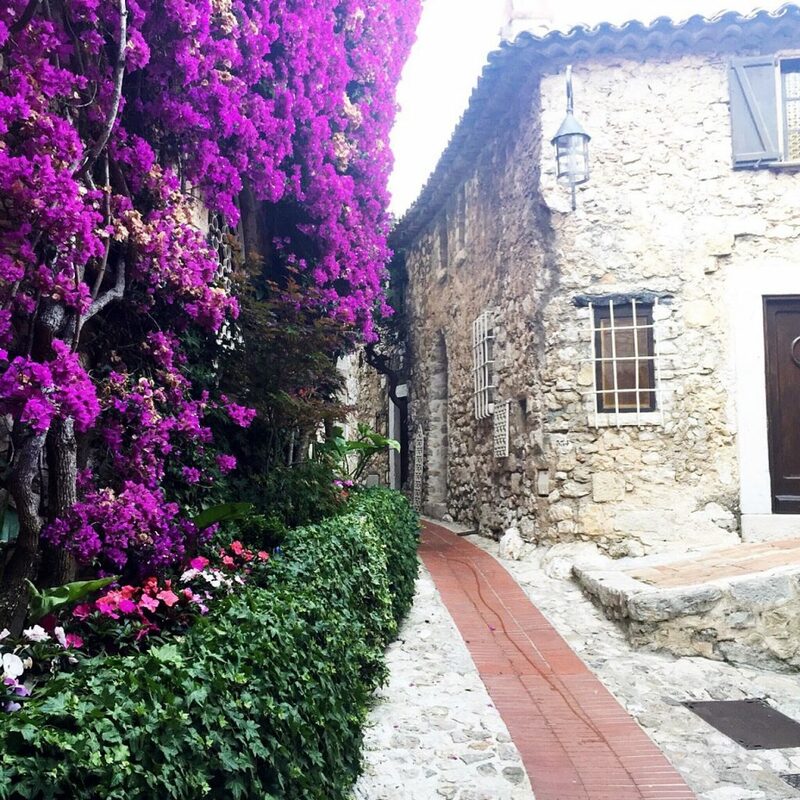 Eze is a beautiful medieval town on a cliff overlooking the Mediterranean sea. Many people claim that it is the Santorini of South of France. I would agree in terms of views, but it has a much darker feel to it. Obviously, you will not expect to see white concrete passage ways and blue top buildings, but rather dark cobblestone and brick. However, it was probably my second favorite day of the trip, and absolutely worth taking a short drive to visit (it is only about 20 minutes from Nice). 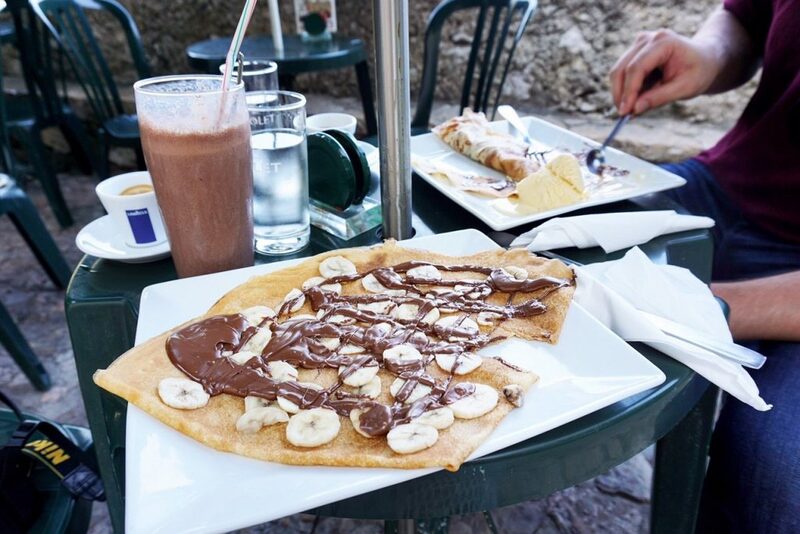 Make sure you visit Creperie Le Cactus – sweet or savory, they have it all. We went with the traditional banana and nutella… YUM! While in Nice I would recommend you spend at least one day on the beach. The sands are a lot different in that they are rocky, so make sure to bring shoes you don’t mind getting wet so that you can wear them walking into the ocean (you’ll thank me later). When we visited the beach we spent 40 euros for beach chairs at a beach club and received drink and food service for the whole afternoon. It was definitely worth it. We just picked the first beach club closest to our hotel called Castel Plage, but there are plenty of options to choose from. If you want a view by the water, make sure to get there early or call to reserve chairs the day before. 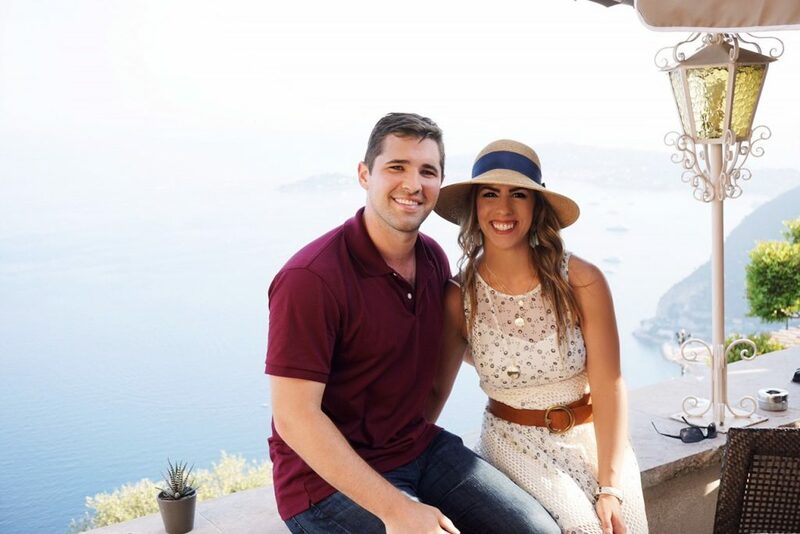 Drew and I spent a lot of time wandering the streets of Old Town, checking out all the local shops the lined the street and stopping in occasionally to grab a bite to eat along the Marche aux Fleurs Cours Saleya. We also really enjoyed going for morning runs along the promenade. 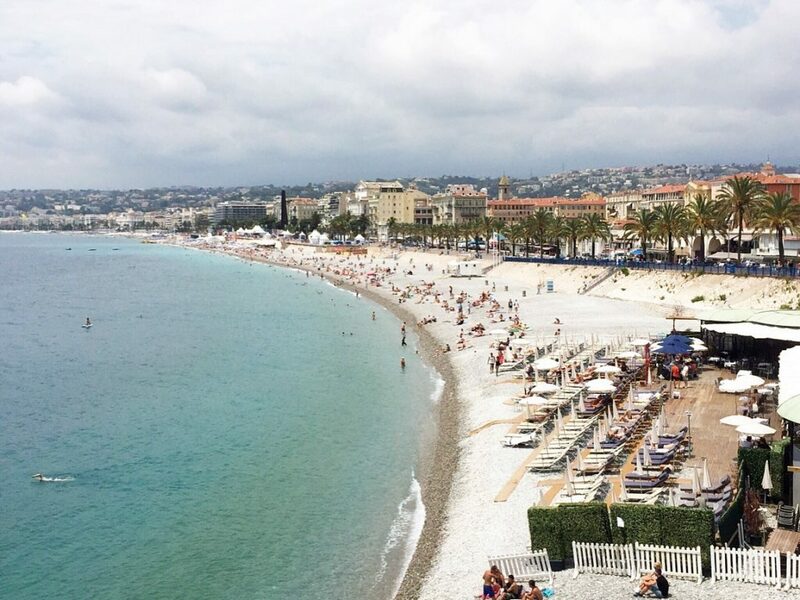 Nice is such an active city that we were amazed how many people were riding bikes, walking the streets, and playing sports on the beach. I think the best thing you can do is get out of your hotel and do something active outside. Where to Drink Rose, (lots of it, and eat): Our timing in France couldn’t have been better because the night we arrived in Nice was the night of the France vs. Germany futbol game for the UEFA EURO semi-final. We decided we wanted to enjoy the game like the locals so we scouted out an amazing burger pub and watched the game with the French. 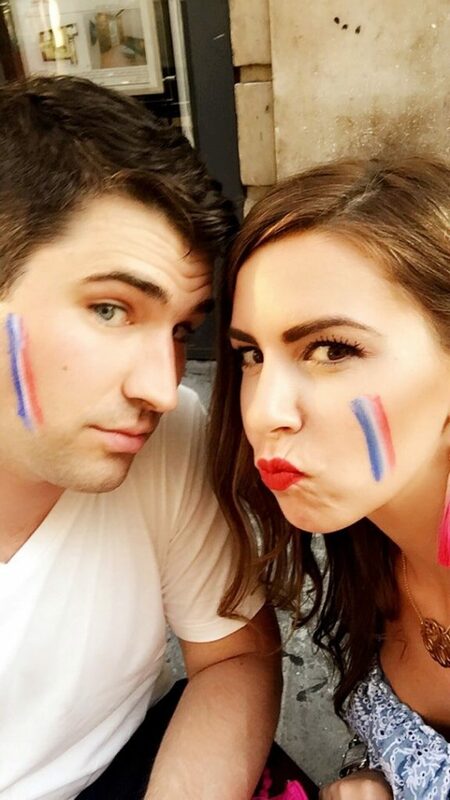 We painted our faces and had a blast. At this point in the trip, we had eaten French food for about 7 days. All we wanted was an American burger and beer, so we went to the best spot in town called Waynes. If you’re feeling the same way while visiting Nice, definitely go here, the burger was excellent! Night 2 was spent in Eze, so we decided to make reservations at the most famous restaurant in town called Chevre D or (The Golden Goat). It was a very swanky place. 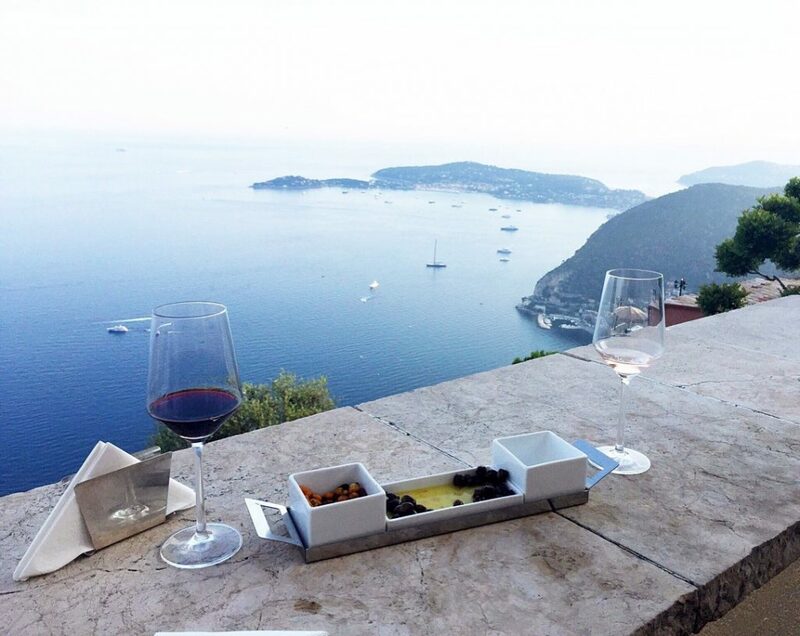 As you would expect, the food and the view were the best we’d had our whole trip. It was the one restaurant where we got quintessential modern french food, and splurged on our meal. I would definitely recommend it if you’re looking for an unbelievable French restaurant experience. Our final night in Nice, we decided to grab a meal along the Promenade and at at a restaurant recommended by our concierge called Safari. We must have picked a really popular place because the line was out the door 20 minutes after we had been seated. We were able to grab a seat outside in the open air of the street and enjoyed listening to live music while tasting traditional Nice cuisine. Your photos are so beautiful! 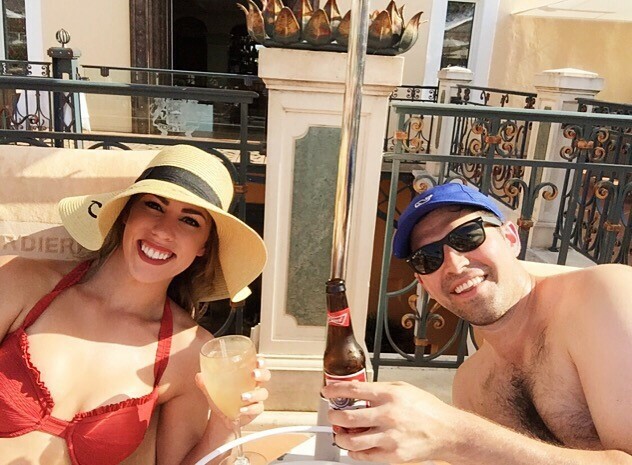 Thanks so much for the thorough roundup of your trip! this list is seriously goals! 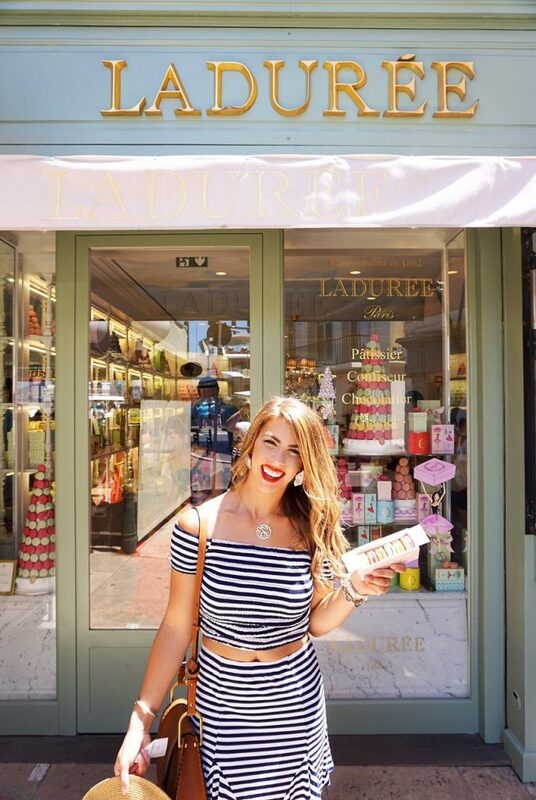 I have been dying to get to south of france with my BF and I am going to send this his way so we can both use this as a guide! This trip looked so lovely! Giiiiirl, you are giving me MAJOR wanderlust! I can’t wait to experience this one day, thank you for sharing your gorgeous photos AND for your tips!! !